Students can now walk into a lab specifically geared toward professional development and career planning. The Offices of Post Graduate Planning and Experiential Education, formerly the Career Center, have opened a new spot on campus for students to provide and receive guidance on resumes, internships, job opportunities and more. 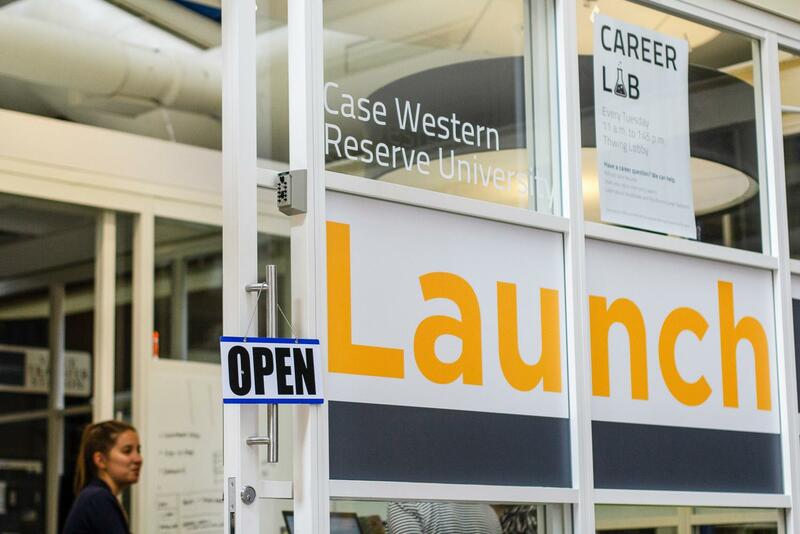 Located off the Thwing Center Atrium, near the Case Western Reserve University LaunchNet, the area is now called the Career Lab. It will be available to students on Tuesdays from 11 a.m. to 1:45 p.m. Associate Director of Career Education Robin Hedges explained why she believes the offices implemented the Career Lab. Hedges also mentioned the Career Lab’s hours of operations are specifically intended to attract students during Thwing Tuesdays. She hopes that with the Career Lab amidst the foot traffic of Thwing Tuesdays, students will become aware of the new service available to them in this location. According to Hedges, other schools have implemented similar initiatives with Career Labs with names like Career Studio which also promotes the collective learning and collaboration among professional development faculty and students. “[The Career Lab] is intended to be developmental as opposed to transactional,” said Hedges. She also mentioned the lab is a pilot project, and if it is successful, the offices aim to extend the availability of this service for students. Previously, Hedges revealed, the Career Lab was a part of drop-in hours at the Career Center and students seemed to find it beneficial. Now the idea behind collaborative learning is being implemented on a larger scale by the offices.